He has a very warm naturalistic Scottish voice ideal for projects requiring a “real” tone. He can exaggerate his accent for more character or make his voice more neutral. His RP English accent is also excellent. 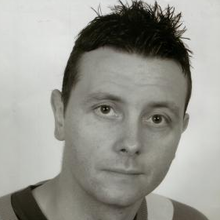 He achieved a degree in performance with distinction in 2009 and has since been featured in Scotland’s first ever advert about the dangers of suicide, which was shown on prime time television. Ian has also voiced adverts for Give Blood. He is a reliable, versatile performer, very good at taking direction. A Scottish male voice over artist that will never let you down.